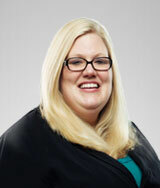 Megan graduated from Drake University Law School in December of 2005. She has been working in the field of immigration law since 2004, when she began clerking for a small immigration law firm. Megan is fluent in Spanish. Megan is on the Executive Committee of the Iowa/Nebraska Chapter of the American Immigration Lawyers Association, serving as chapter secretary. She has been a member of the American Immigration Lawyers Association since 2011. She also serves as an American Immigration Lawyers Association Mentor nationwide in the areas of T & U Visas, as well as Violence Against Women Act Petitions. Having worked as a Bilingual Staff Attorney for the Iowa Coalition Against Domestic Violence from 2007-2010, Megan is committed to immigrant victims’ rights issues. During her employment at the coalition, Megan served as a mentor to students at the University of Iowa College of Law on Violence Against Women Act and U Visa Petitions as part of their clinical program. She has also trained Iowa law enforcement on U Visa Petitions at the Iowa Law Enforcement Academy at Camp Dodge.